Sewell Lady Raildogs softball is a local travel program with teams ranging from 8u through 16u. Our teams play the competitive South Jersey Girls Softball Association (SJGSA). 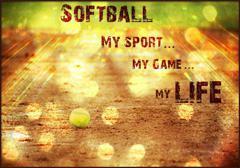 Our travel program develops player skills both mentally and physically to prepare them for full season(s) of softball. This multi-layered training is built from basic fundamentals, pitching machines, ball drills, core strength, trainers to scripted game scenarios. We offer year round softball consisting of a spring and fall season, summer tournament(s) and indoor training in the winter. Currently Sewell Lady Raildogs is looking to expand the amount of teams they currently have. If you are interested in bringing a team, a player or willing to coach reach out to Rich Wessel @ sewellbaseballsoftball@gmail.com.